Excellent : This item has been used but shows little to no evidence of wear and tear due to usage. This item is without cracks, scratches, or noticeable wear. What's Included. IPod ONLY. No other accessories are included in this sale. Fully & thoroughly tested, great battery life & factory reset. Ready for set-up with new user. APPLE IPOD CLASSIC 1ST GENERATION - 5GB - WHITE. iPod has heavy scratches and nicks. We will do our best to make it right! Our warranty covers manufacturer defect ONLY. Condition is New. Plays MP3, WMA, secure WMA and Audible audio file formats. Plays your Spotify music on-the-go without a phone or Internet connection. 1st Generation Mighty; Crush Orange. 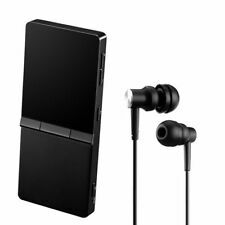 Works with Bluetooth & wired headphones. Up to 4 hours of playback. 2005 Apple Ipod nano 1st Generation Model A1137 2GB NO CORD with Leather Carrying Case. Excellent Condition. I don't have the cord but worked perfectly last time that I used. Selling with out the chargers . (2) Apple iPod A1051 1st Generation 4GB Working. Condition is Used. Shipped with USPS First Class Package. 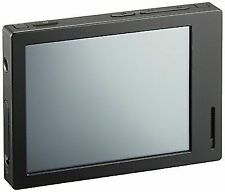 Listed is a used 1st gen ipod nano in black with 2gb storage. ipod seems to be in good working condition and comes with green silicone protective case. also included is a usb charging cable. Cable is not in the best condition, but is able to charge the ipod. Comes with the leather case with belt clip and charging cord. Shipped with USPS First Class Package. White, 4GB. Great condition, includes charging cable and wall adapter. Reset to factory default. Fully Functional (fully assembled) iPod mini 1st Generation. New Battery installed. iPod pictured is the one for sale. Condition is Used. Has a gummy back from age but is unnoticeable in the plastic case. This is a great little ipod. This is my 1st generation iPod Mini (USB Windows version) Green which I am the original owner off. Everything is original and it is in working order. 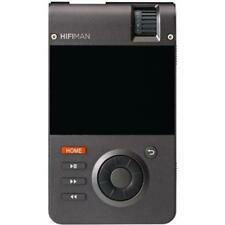 Battery probably needs replaced if you want to use it as a portable audio player. Apple iPod nano 1st Generation original packaging only. Collectors special! Replace with these factory originals, gently used. Available for 1 GB, 2 GB, 16 GB, black or white. Complete your collection! Product Information. Apple iPod nano 1st Generation Black (4 GB). Apple iPod nano 1st Generation Black (4 GB). . Condition is Used. Small surface scratches but works perfect. Shipped with USPS First Class Package. 4.5 out of 5 stars - Apple iPod nano 1st Generation Black (4 GB). 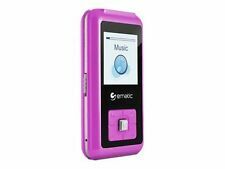 55 product ratings55 product ratings - Apple iPod nano 1st Generation Black (4 GB). I will be glad to help you! iTunes tested and ready. Battery life is not very good. No accessories. Apple iPod touch 1st Generation Black (32 GB). Great condition and works great. I ship every Friday/saturday. Thanks for looking. Working nice. Condition is Used. 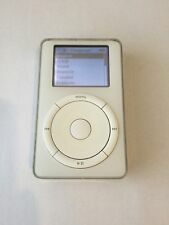 Apple iPod classic 1st Generation White (10 GB). Condition is Used. Shipped with USPS First Class .normal wear and scratches on the back in great condition..fully functional..exellent i pod vintage. great for collectors... 900 songs .charger and cord included. old songs from ipod period. bid with confidence thanks. Collectors John Lennon iPod Box - Box Only!